This is an album that's been many years in the making. 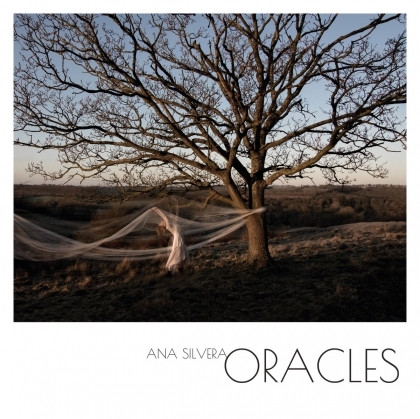 In 2011 Ana Silvera was commissioned to write a piece to be performed with a choir at the Roundhouse in London. That became the seven part song, "Oracles" and won her a British composer award. In 2015 it was recorded in live recording sessions, once again at the Roundhouse, and the recordings are now seeing the light of day as her second album - Oracles. It's music that doesnt really fit into any genre. There's a folk influence, but equally it's comparable to Kate Bush, and has a lot to interest fans of the Medieaval Baebes, and theres even a bit of pop in their too - this really is an album that I'd class as just "great music" rather than putting it into a genre pigeonhole. The vocals are absolutely stunning, and the choir is used nicely - adding depth where needed and never being overdone so it overpowers the lead vocals. The music too is beautiful with strings, piano and percussion all sounding fantastic in creating beautiful melodies that never draw too much attention away from those wonderful vocals.